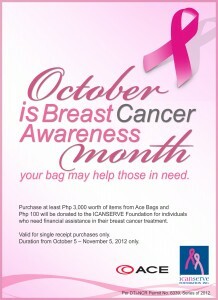 Ace Bags, a line carried by The Travel Club, reaches out to ICanServe Foundation during breast cancer awareness month. 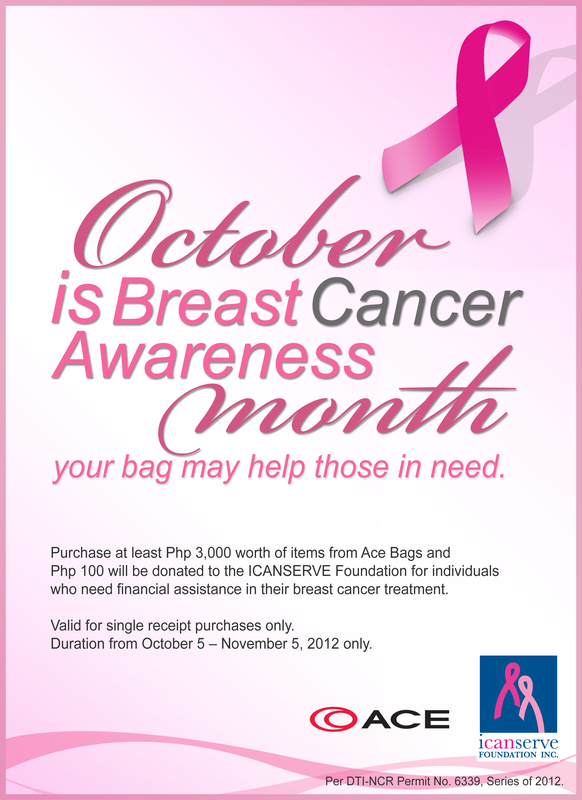 From October 5 to November 5, Ace Bags donates P100 for every P3,000 worth of Ace Bags purchased at the following branches of The Travel Club: Trinoma (Quezon City), Shangrila Plaza (Mandaluyong), Greenbelt 3 (Makati), Mall of Asia, and Ayala Center Cebu. 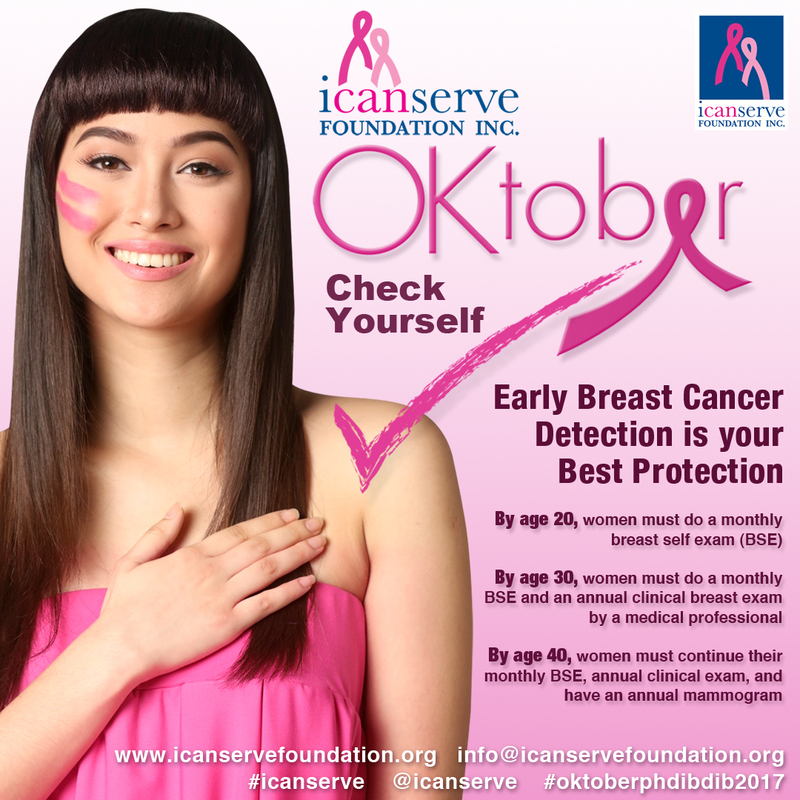 Ace Bags has allotted its potential donation to provide financial assistance for the treatment of breast cancer patients.